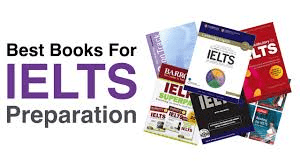 Home IELTS Academic Writing Task 1 Model Answer – Flowchart – Typical stages of consumer goods manufacturing. 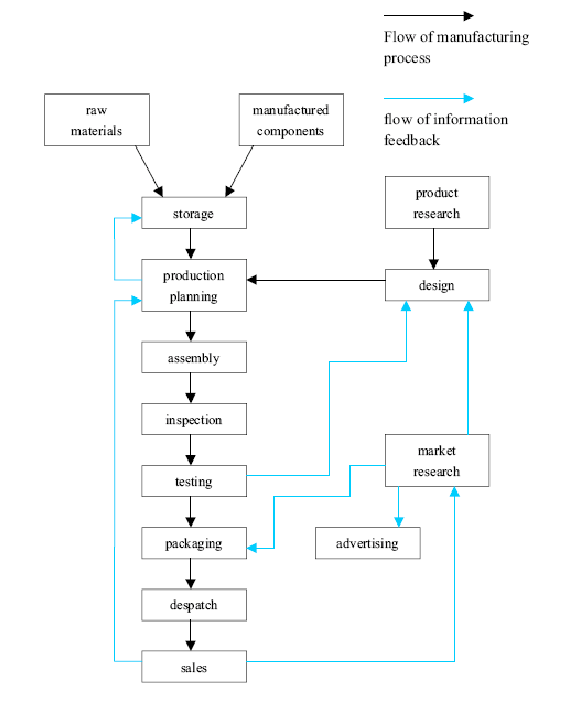 The diagram illustrates the many stages of product manufacturing, with added information regarding the flow of information that allows alterations in the early stages in the manufacturing process. Overall, the diagram shows that there are 8 straightforward stages from storage of materials and components to sale of the final product, which involve the physical goods. However, the flow of information, involving the design and market research departments, is more complicated. With regards to the physical product, manufacturing begins with the storage of raw materials and manufactured components. The next stage involves production planning, which is informed by design considerations and is followed by assembly of the product. After this, there is testing, packaging, and dispatch of the goods until the final stage is reached the sales department. Throughout this process, information is being fed back and forth between different compartments. For instance, market research informs the design, packaging and advertisement of the product. At the same time, the market research department receives information from sales, which is also shared with production planning. Lastly, product research and design not only exchange information with different stages of the manufacturing process, but they are also directly involved in the flow of manufacturing. IELTS Academic Writing Task 1 Model Answer – Line Graph – Visits to two new music sites on the web. IELTS Academic Writing Task 1 Model Answer - Table - Percentage of children with different educational problems in two primary schools.IELTS Writing Task 2 Model Answer: Most people accept that we now live in a globalised world but not everyone agrees that it is beneficial.